Blank became both an early investor and an early participant in the MOOC experiment by doing what he has done throughout his career – showing up, solving problems, and saying yes. 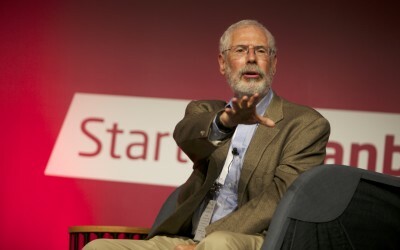 Find out more about what Steve Blank discussed with the No-Pay MBA Network in this blog post. Fill in the blank: What words do you use to talk about your education? I must say, I am downright frustrated with the limitations of the English language when it comes to talking about education. I’m talking about the fact that the three most common verbs used in conjunction with education are the three least descriptive, most boring verbs in English. Go. Do. Get. A student goes to a university. She does an MBA. She gets a degree. These words completely hide the richness of the educational process. Not only that, these verbs are awkward when it comes to talking about an education that doesn’t result in a degree, or that isn’t administered by an institution. Do, go, and get are bound up with the idea that education is a thing. You go to a place, do some tasks that are assigned to you, and you get a piece of paper that is commonly recognized to be a valuable signal of your preparation. That’s education in a nutshell, right? Well, I’m here to challenge these verbs and the idea of education that is encapsulated within them. I would like to propose three new verbs (and some related synonyms) to talk about education not as a thing, but as a process in which the learner is an active participant, not a passive recipient. 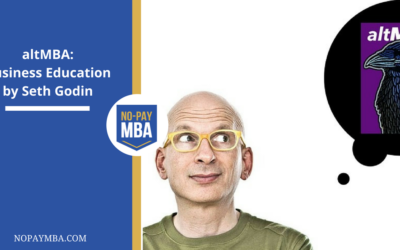 Question: What would business school look like if it were designed by marketing guru Seth Godin? Answer: It would be immersive and intimate, accessible from anywhere in the world, and focused on shipping a ridiculous number of projects in a short time frame. Seth’s latest venture, altMBA, is precisely that program. 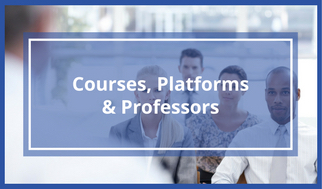 altMBA is a 4-week intensive business education that blurs the line between online and in-person. The curriculum centers around hands-on projects, created by Seth Godin, which participants complete in small groups. While the program is designed for maximum person-to-person engagement, participants are not physically together; the entire experience takes place in an online environment. 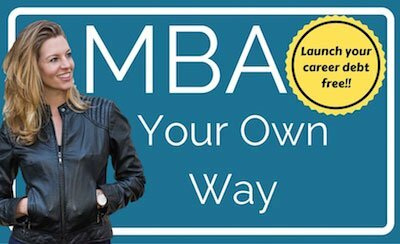 I recently spoke with Winnie Kao, who facilitates altMBA. 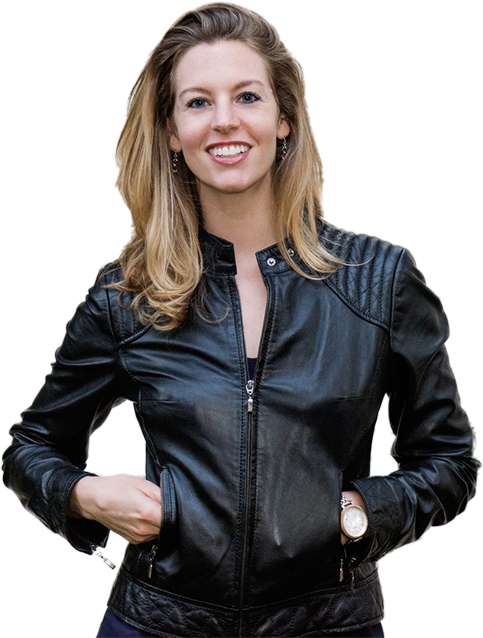 Here is what we talked about and why I’m so excited about altMBA. 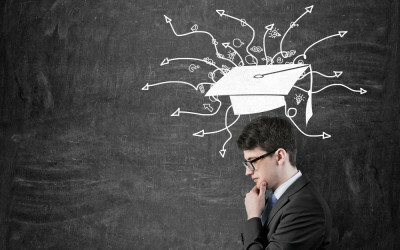 Should No-Pay MBA have a different name? So I’m putting it out to my readers. 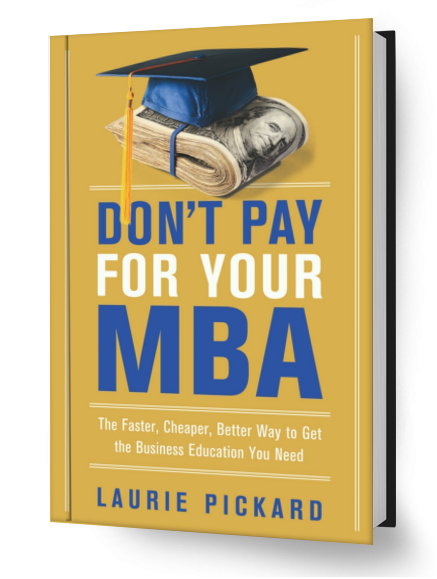 Should No-Pay MBA’s name be changed? I would be sad to change our name. I have built a reputation and some brand equity with this name. 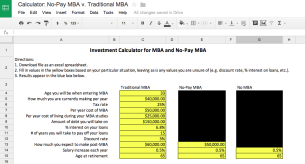 Also, I just really like No-Pay MBA. It’s catchy, and it rhymes. Low-Pay MBA rhymes too, but it doesn’t have quite the same ring. Real Life MBA is already taken. 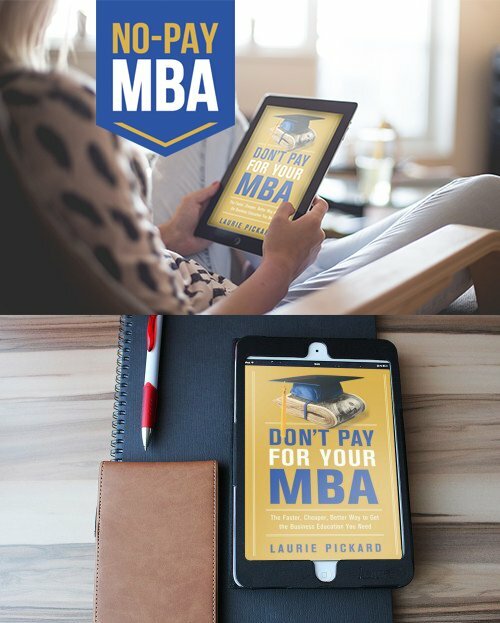 $1000 MBA is too literal. High-Return, Low Cost MBA Equivalent is as well. But I want to hear from YOU. 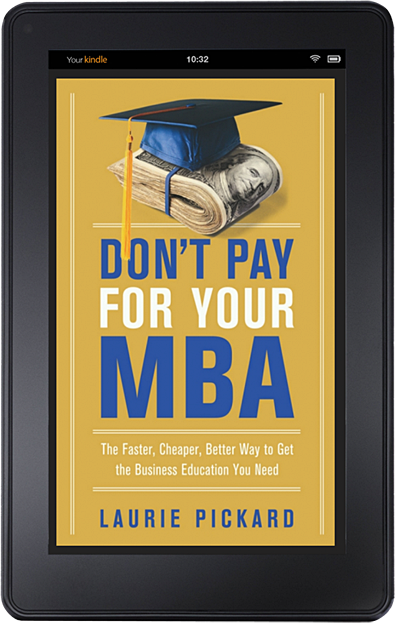 Do you think No-Pay MBA would be better served with a different name? A name that makes it clear not to expect the education I’m promoting to be truly and totally free? If so, what should that name be? 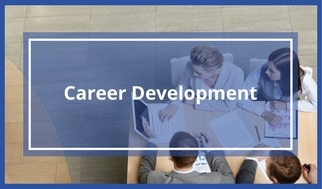 Guest post by career coach Anna Sparks. 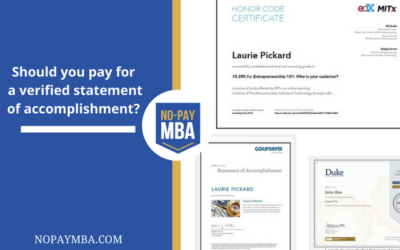 Your No-Pay MBA should absolutely be listed under your Education on your resume, but don’t stop there! 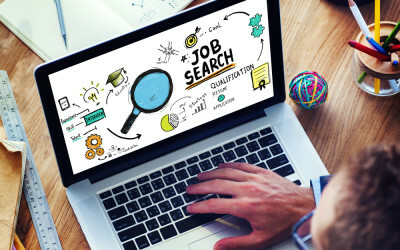 I want you to let this non-traditional experience shine, highlighting it in your cover letter or in a key qualifications section at the top of your resume. 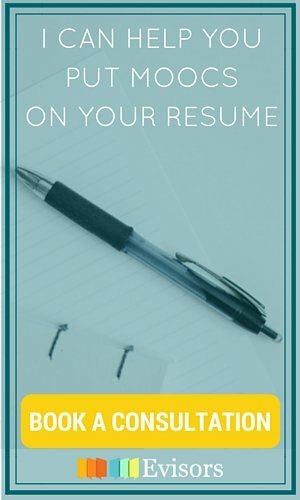 Let’s explore some strategies for showcasing your No-Pay MBA on your resume and in your cover letter. I continue to find it perplexing that far fewer women than men enroll in MOOCs. It was reported last year that men were 71% of the general population of MOOC users. In computer science courses, the numbers were even more skewed, with women accounting for less than 20% of enrollment. When I started the No-Pay MBA Network, this gender imbalance really hit home. When customers 1, 2, 3, 4, and 5 were men, I started to wonder what was going on. Finally some women began to sign up, but my clients are still far more likely to be male than female. I’m still scratching my head as to why fewer women than men are using MOOCs. And it’s really starting to bother me. As a woman who has used MOOCs for career advancement, not just to satisfy an intellectual curiosity (though MOOCs are good for that too), I believe that MOOC education can be particularly good for women. Which is why I find it troubling that so few women are taking advantage of the opportunities for career advancement that free online learning presents. 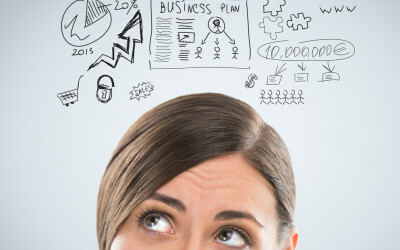 Here is why I believe MOOCs can be a boon to women looking to get ahead in their careers. 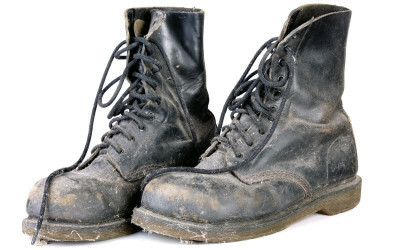 I like to think of the No-Pay MBA Network as a bootstrap model of business school. The members are helping to pull each other up without the external help of an institution. 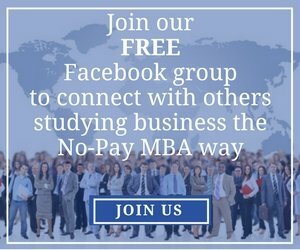 Together, we’re undertaking a process of self-betterment and helping each other to reap the benefits of an MBA education without going thousands of dollars into debt in traditional MBA degree programs. Here’s how we’re doing it. But things have changed in the world of MOOCs. Coursera is no longer offering free certificates in any of its courses. It’s $49 (or more) for an identity-verified certificate, or no certificate at all. If you’re taking an entire degree’s worth of courses and you start paying for certs at $50 a pop, (up to $100 for some courses), before long you’re looking at some serious cash. There is a lot I could do with $4,000, and I’m not sure that spending that money on course certificates is the best use of my money. Recently, I and a few members of the No-Pay MBA Network got the chance to participate in a business simulation game through Cesim, a Finnish company that provides these simulations as trainings in both university and corporate environments. While this isn’t an experience that is available to most MOOC students (Cesim generally works with classroom-based MBA programs), it was a valuable supplement to my MOOC course work, and it gave me some insight into the potential for online education to be both collaborative and experiential. 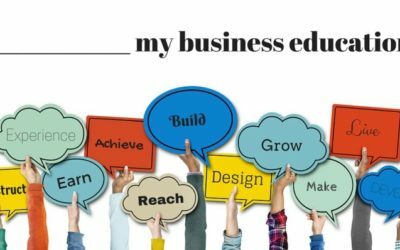 Cesim’s business simulations are used by many business schools as a capstone experience, tying together the many threads of a business education. 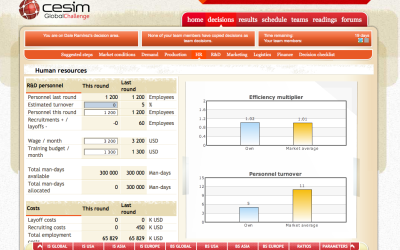 Eight of us from the No-Pay MBA Network played the simulation game, in four teams of two. 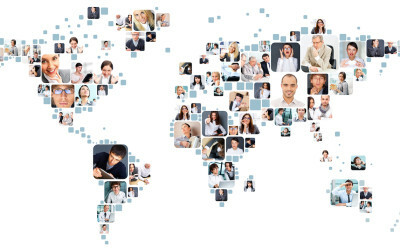 We grouped ourselves by time zone so that teammates would be able to find times to talk to one another – a constant challenge for our globe-spanning group. 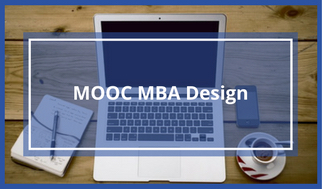 Whether or not you get the opportunity to participate in a similar simulation, I do think it is important to find experiences to supplement MOOC course work, especially if you are trying to get an MBA-equivalent education. Below are some of the hallmarks of the kind of experiences MOOC students should seek out, my key takeaways from the Cesim business simulation, and some tips how you can apply them to your studies. How much of the $150,000 – $200,000 that MBA students in top programs spend on business school is for the value of having a great network? 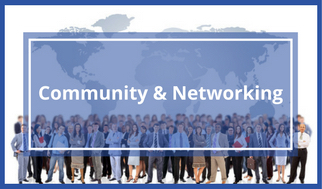 Here’s how I did it – and how you can build a network to rival any business school grad’s. Up to now, MOOC business students haven’t had a lot of great options when it comes to showing their work in an educational portfolio. In my opinion, until now the only good option available for creating a MOOC educational portfolio was to make your own website, which is time-consuming and expensive, and involves a steep learning curve if you aren’t already website savvy. I’ve spent the past several months creating an area on this site where anyone in the world can catalogue and display the skills they are building through online coursework. 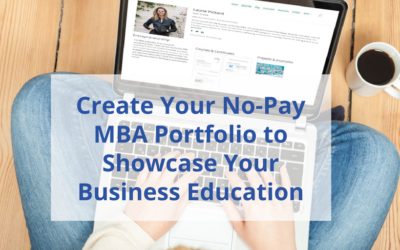 Starting today, you can create your educational portfolio on No-Pay MBA. When I created the portfolio feature on No-Pay MBA, I set out to create the best place on the web for MOOC students to showcase their studies. You can be the judge of whether I’ve achieved that goal. We all know that credentials (degrees in particular) are an absolute requirement to get certain jobs. But do they have to be? Can a portfolio ever win out over a credential? And what happens when Coursera completely gets rid of Statements of Accomplishment? Will MOOC students be obliged to pay for verified certificates in order for the courses to “count”? Recently a reader of my blog sent me a link to a forum where a fascinating debate was taking place, spurred by the news that Coursera is phasing out its free Statements of Accomplishment for people who complete MOOCs. 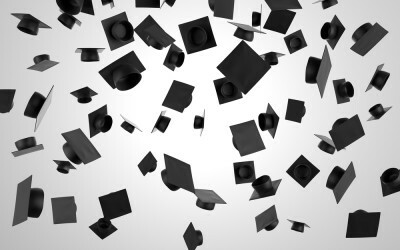 This debate crystallized around the question of whether credentials – not just MOOC credentials, but credentials in general – were worth anything. In this article, I’ll explore credentials – what they are, what role they play in the marketplace, and whether it might possible to capture value from non-credentialed education.